Can Practicing Gratitude Change Your Life? 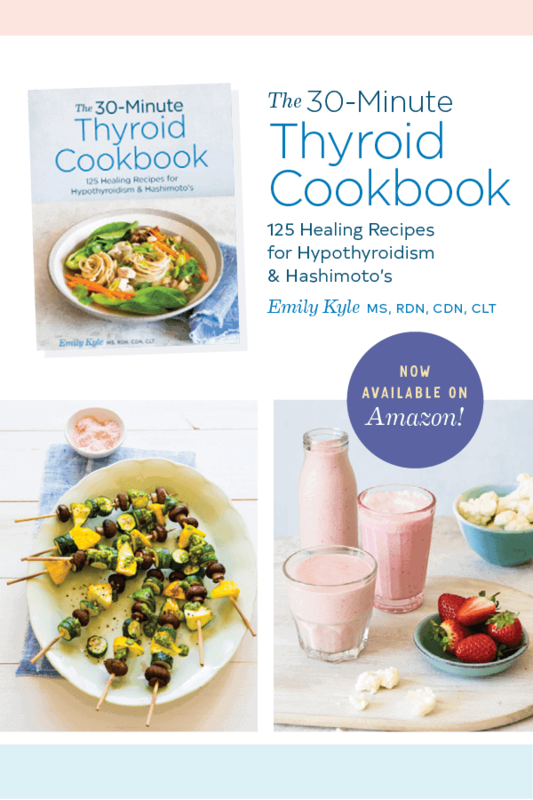 Want to get happy and healthy in the New Year? Learn more about How Gratitude Can Completely Change Your Life in 2019, from making you happier and more positive, to making you nicer to others, and even improving your physical health and well-being. When most women come to me, they report that they want to feel happier and healthier, but they don’t know what to do to get there. Unfortunately, happiness seems like an illusion that many will never see come to light in real life. Many people believe that good health will lead to increased happiness, but in my practice I believe that increased happiness leads to good health. I am sharing this post with you today because, for me, cultivating and maintaining an attitude of gratitude has been the single most impactful step I have made towards creating a happier, healthier, more vibrant and abundant life in the past year, and I want that for you too. As I grow and develop my own happy & healthy lifestyle, I have learned that consciously practicing gratitude is an integral piece of the happiness puzzle. A gratitude journal, a happiness journal, a positivity journal, a diary. Whatever you want to call it, there is impressive evidence pointing to the many positive benefits you may see as a result of practicing gratitude daily. And don’t just take my word for it, results suggest that a conscious focus on blessings may have many emotional and interpersonal benefits that can boost your happiness throughout year. Growing evidence suggests that, beyond making people feel good, the experience of positive emotions such as joy, happiness, and contentment holds numerous social, intellectual, and physical benefits for the individual. So before you rush off to count the macros in your next meal or to see how many calories you can burn on the treadmill tomorrow, keep reading to discover how practicing gratitude can completely change your life in 2019. As defined by the dictionary, gratitude is: the quality of being thankful; readiness to show appreciation for and to return kindness. In all honesty, I thought I knew what grateful was until something so profound happened in my life that I was forced to have a deeper, more in depth understanding of what it means to truly be grateful, to show appreciation, and to be able to return kindness to those who had given it to me in my time of need.. In 2017, I suffered a health crisis that left me bedridden for two months, and while it was no doubt the worst time of my life, I have found myself reflecting back on that experience more and more this year with profound gratitude for the good health that I have now. I tell you, that has NEVER been more true than when it comes to your health. If you are one of the millions of Americans living with a chronic health condition, I know you can relate to me right now. I know that in the moment, when things seem to be going wrong, it can be really, really difficult to look at the silver-lining, to express gratitude for the things that are happening to you. But I promise, the more you can condition your mind to always look for the positive, to always find something to be grateful for, the more you will begin to reap the benefits of this practice. Grateful responses to life, we are told, can lead to peace of mind, happiness, physical health, and deeper, more satisfying personal relationships – but is that exactly true? A 2002 study published in the Journal of Personality and Social Psychology titled Counting Blessings Versus Burdens: An Experimental Investigation of Gratitude and Subjective Well-Being in Daily Life attempts to determine if this is true or not. Does being consciously grateful for one’s blessings lead to greater peace of mind, happiness, and better relationships? While it was a small study, the results were fascinating. YES, being consciously grateful for one’s blessings can lead to greater peace of mind, greater interpersonal happiness, and more satisfying personal relationships. By practicing gratitude, you are not only helping yourself but you are helping those around you as well: it has been show that practicing gratitude can make you a kinder person. Grateful responses to life not only lend to a more positive effect on your own life life but interestingly enough, by practicing gratitude, we are more likely to practice empathy and kindness to the people in our lives, thus spreading the positive benefits of this practice to those around us as well. It is understandable how it could be difficult to quantify the practice of gratitude and apply that practice to physical health outcomes, but one study attempted to do just that by Examining the Pathways between Gratitude and Self-Rated Physical Health across Adulthood. Specifically, this study examined whether psychological health, healthy activities, and willingness to seek help for health concerns mediated the link between gratitude and self-reported physical health. Does Practicing Gratitude Impact Physical Health? Although, it was very interesting to see how the indirect effects for psychological health and healthy activities were stronger for older than younger adults. In other words, the ways by which gratitude influences physical health differs across the lifespan. Perhaps it is the wisdom that comes with age that allows us to be more receptive to the positive practice of gratitude? Want the best results from your gratitude practice? Do you want to feel happier? Be nicer to others? Physically feel better? Write it down. Expressing gratitude in written form is one of the best ways to connect with your feelings and to solidify your intentions. While there are a lot of ways to practice gratitude, journaling is one of the best, research-backed ones out there. Reliably higher levels of pleasant affect? Yes please, sign me up. It doesn’t matter whether you choose to keep your gratitude journal the old-fashioned, pen and paper way or digitally on your phone or computer. All that matters is that it is a medium that works for you and your personality in order to keep you focused, organized and committed. You bet that I have my iPhone in my hand all day, every day. But when it comes to writing down anything meaningful, I am a dedicated pen and paper girl. 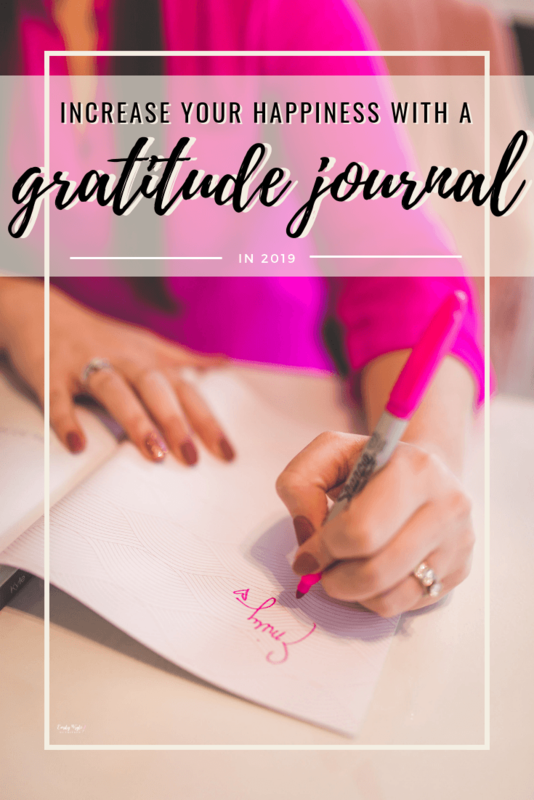 For years, I have used paper planners to not only organize my calendar and appointments for both personal and business use, but eventually I discovered that it is the perfect way for me to keep consistent with my gratitude journal as well. If you’re looking for the perfect gratitude journal, I highly recommend this Gratitude Journal: Good Days Start with Gratitude: A 52 Week Guide to Cultivate an Attitude of Gratitude for just $5. Of course, being a millennial in a digital world, I understand that many poodle prefer digital ways to keep their gratitude journal. There are many different options inside the App Store, although I am in favor of the My Gratitude Journal App for $2.99. You were drawn to this post, How to Start a Gratitude Journal, for a reason. What is your purpose for learning how to start and maintain a gratitude journal? 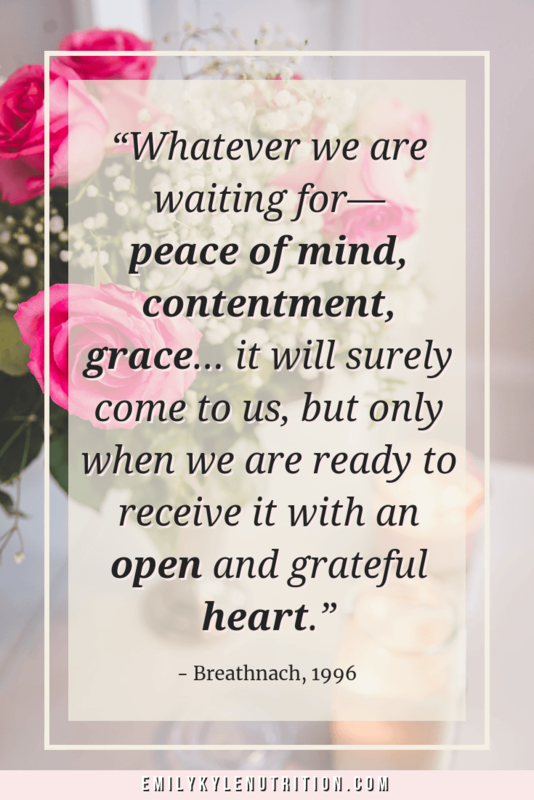 Do you just want to be more aware of the blessings you already have in your life? Do you want to be nicer to others? More kind, caring and empathetic? Do you want to become a more positive personal overall? Do you want to improve your physical health? Having a clear goal in mind for your practice will help you to discover all the ways gratitude can benefit your life overall and help you to focus on what you will be writing down. How often do you want to reflect on the things that you’re grateful for? Daily, weekly? Sporadically? I love to use a weekly planner because there is just enough space to write down what I am thankful for daily. Whatever you decide, commit to a frequent schedule to keep you on track, but don’t get too bogged down by a schedule. There is never a right time to be grateful. The most important step in developing your gratitude practice is just sitting down and actually doing the work. There is no right or wrong way to share your feelings. There is no right or wrong way to keep and maintain a gratitude journal. Your gratitude journal is highly personal and should become an enjoyable activity for you, not just another mundane task to cross off your to-do list. Whether you spend just five minutes a day, or thirty minutes at the end of the week, your practice should focus on cultivating positivity and bringing joy into your life. My sweet boy, Ransom, and his playful spirit. And for the ability to work from home, and to enjoy sweet moments with him. I hope you consider keeping a gratitude journal, or at the very least, extending more grateful thoughts into your day. Gratitude can benefit our mental and physical well-being in so many ways, with just a few small steps each day. Do you already keep a gratitude journal? Have you seen the positive effects yet? Let me know about your experience in the comments below! (1) Emmons, Robert A, and Michael E McCullough. “Counting Blessings Versus Burdens: An Experimental Investigation of Gratitude and Subjective Well-Being in Daily Life.” Greatergood.berkeley.edu, Berkeley, greatergood.berkeley.edu/pdfs/GratitudePDFs/6Emmons-BlessingsBurdens.pdf. (2) Hill, Patrick L, et al. “Examining the Pathways between Gratitude and Self-Rated Physical Health across Adulthood.” Department of Psychology, University of Illinois at Urbana-Champaign, 2014. I am so glad you thought so! Yes it does, thanks Meme! I am so glad it was helpful. Happy New Years, Lorie! I tried a gratitude journal for the month of November. It was so powerful. And this is perfect for the new year! I started writing a gratitude journal a few months ago and it always feels so good to get the ideas on paper! I love writing things down. These are fantastic ideas! It really is! Thank you for reading my friend! Love this post so much, Em! It’s amazing how powerful practicing gratitude can be! I needed this post to get me ready for 2019, thank you!